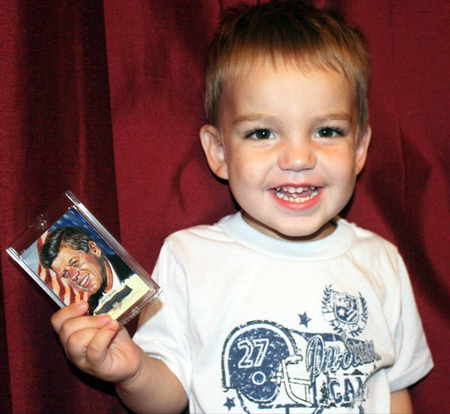 Another great one came from Upper Deck’s 2011 Goodwin Champions set where we had ten hand-painted trading cards done of Kennedy. 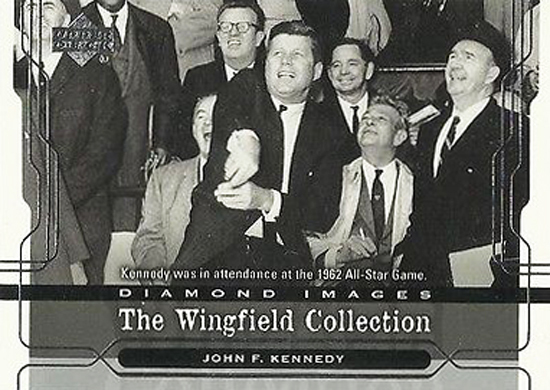 And collectors who were lucky enough to score one were obviously thrilled. 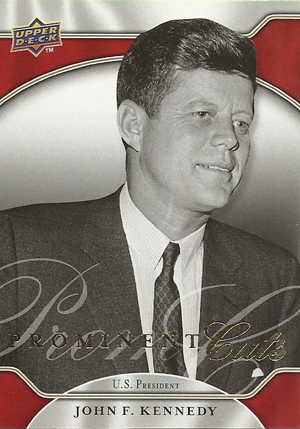 Upper Deck has also created some really remarkable cut signature cards of John F. Kennedy over the years that feature an authentic signature actually embedded in the trading card. These are very rare and many have moved into private collections, but from time to time you will see one up for sale at auction sites. 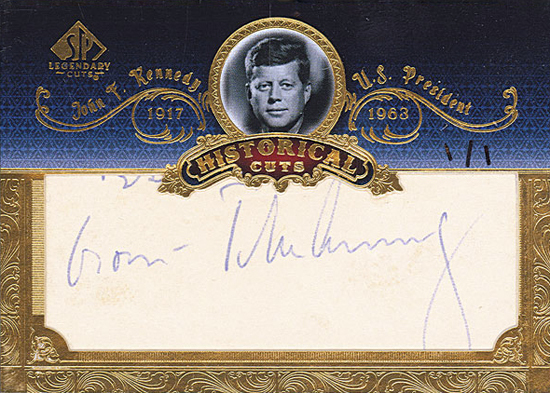 Most of these cut signature cards of Kennedy are super rare one-of-one cards like this one. 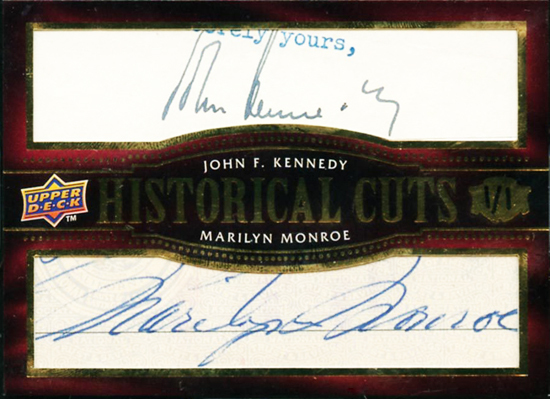 Some of these cut signature cards feature Kennedy paired with another personality like this one with Marilyn Monroe who made headlines when she sang “Happy Birthday” to him. 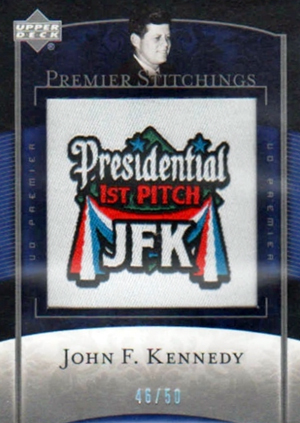 And some are done in a booklet fashion where you actually open the card up to reveal the cut signatures of Kennedy and someone tied to him like this one with Jackie Onassis Kennedy. 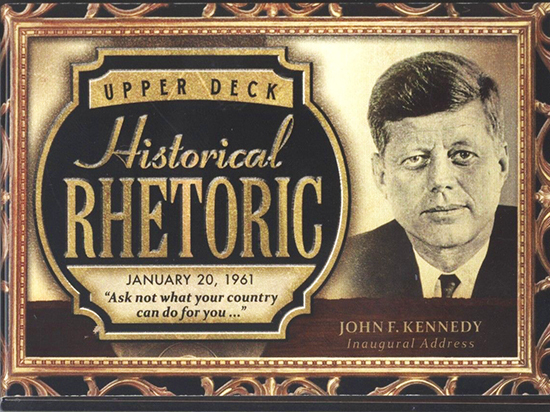 Always innovating, Upper Deck released an audio booklet card in 2015 Goodwin Champions that actually plays Kennedy’s inaugural address when opened. The Historical Rhetoric booklet card has a charging port so collectors can keep the internal battery in the card charged. 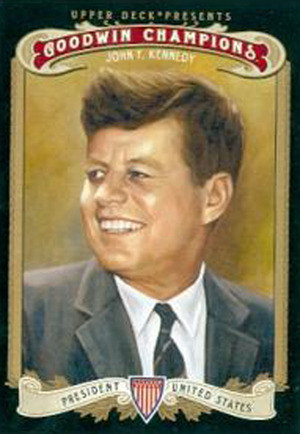 Coming out this May, 2019 is a new offering of President Kennedy collectible trading cards in the 2019 Goodwin Champions product. This eclectic release offers a diverse offering of subjects and is always a hit with collectors. 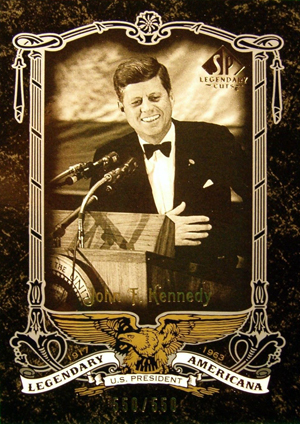 There will be eight different Presidential Legacy Relics for JFK that chronicle his election, inauguration, creation of the Peace Corps, the race to space, Cuban missile crisis and more.